So, I know some people look at me this way. But then, that’s how life goes. Hihi. I know this is kind of wrong, but for some reason, it just became that way. One cause I could think of is that my parents have been too strict so when I was younger, every time there was an opportunity for me to experience and learn things – I was kept away and decided to not bother. But well, that’s life for me! I’ve become used to it, it feels awkward at most times too. There are some moments, I’d really like to talk but I don’t know how to express myself without being funny or what. 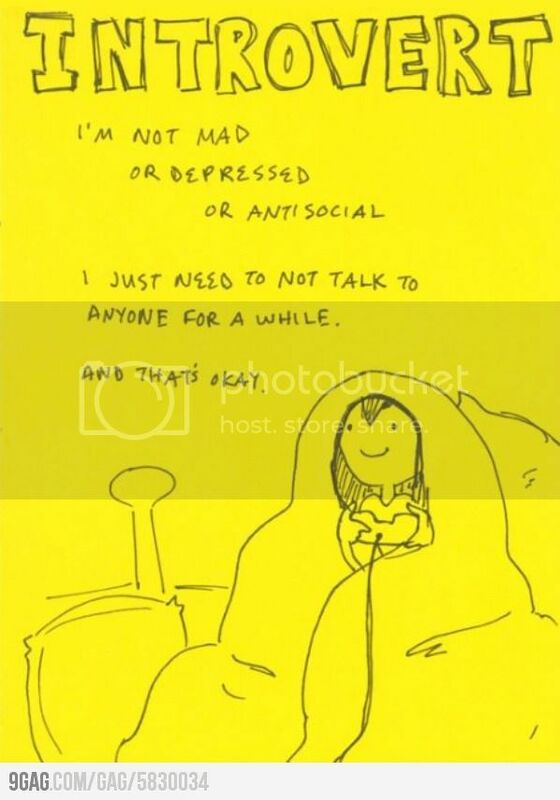 Posted in Journal and tagged introvert.